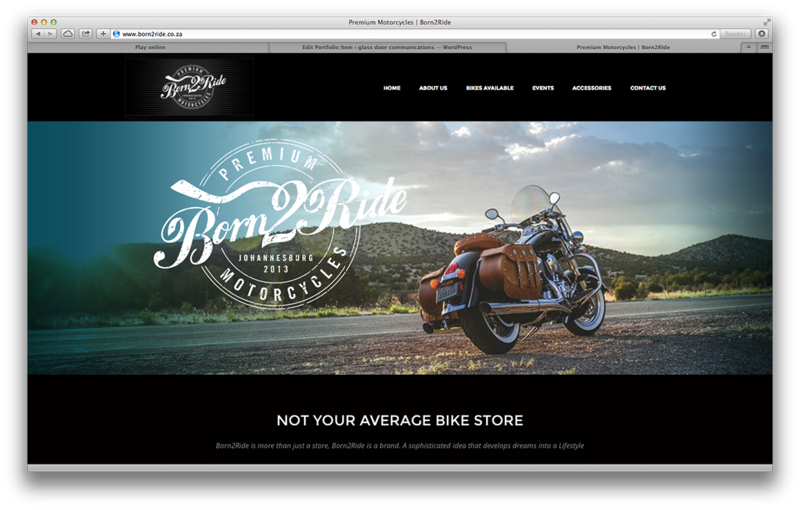 Glass-door communications developed the born2ride website using a wordpress and woo commerce theme template. 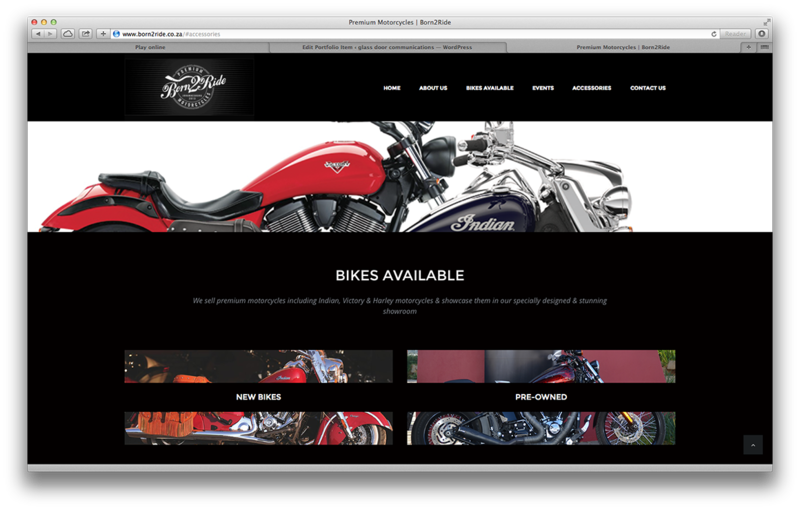 Born2Ride is more than just a store, Born2Ride is a brand. A sophisticated idea that develops dreams into a Lifestyle. born2ride.co.za brings this amazing store experience to the web and entices the audience to visit the Bryanston store to experience the brand and lifestyle.